Some examples of activities carried out at the Centre included, drama workshop, science day, halloween party, dance workshops and sports day. Children with disabilities as well as their siblings enjoyed experiencing the variety of activities. Carers attended each session and in some cases, chose to participate in the activity or used the session as an opportunity to socialise and meet other families. Outsourcing other companies to provide science, drama and dance offered more variety and choice for our families. The sessions became more enriched and the children thrived whilst experiencing new opportunities and potential hobbies. Some of the sessions included use of the outdoor space where children can explore our sensory garden and wheelchair adapted play park. Having activities and sessions in the garden was a huge success. The children with limited range of movement and language thrive in the outdoor space as it offers a multi-sensory experience for all. We've noticed in these particular children that their bodies and their mood can become more relaxed which has led to a greater range of movement from them as they explore the plants and water the flowers. The project went to plan. Through careful planning, the team were able to source and deliver sessions that provided choice, variety and positive promotion for health and well being. We delivered 1;1 family support to get engagement with families and hosted a Wellness Market to offer parents/carers the chance to find out more about ways to improve their health and wellbeing. As it is particularly difficult for our parents and carers to take some time out we made the event child friendly by offering activities facilitated by our support staff. Taster sessions included Reiki and massage was offered on the day alongside information from 10 organisations including NHS Grampian, Community Food Initiative North East, Grampian Disability Sport and Quarriers Aberdeenshire Carers Support Service. We supported children to attend wheelchair basketball and took the families to the beach with a pony ride. We provided family support including access to funding, travel and respite options. Whilst we consulted carers in shaping the activities we would allow more time to collaborate with the carers at the planning stage to increase engagement, encourage peer support and give even more opportunity for carers to establish friendships and get to know each other, so that carers are less isolated and support extends beyond the group activities and relationship with our support staff. Engagement is improved when group events are preceded by 1:1 support/engagement with our staff and we would endeavour to factor this in to future events. We engaged with the wider community by opening out the wellness event and this raised awareness of Spina Bifida and Hydrocephalus. Having the stalls at the wellness market provided an excellent opportunity for building partnerships and networking to maximise opportunities for support and respite for our carers. 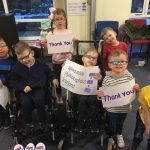 Through this project, we have learnt that by creating a safe and inclusive environment, the children and carers have engaged more with the organisation and have developed trusting relationships with the team. Carers each use the sessions for various reasons personal to them and the sessions allow the space and time for this to happen. Whether it be joining in with activities, finding a quiet place to relax, meeting new families or even coming in to chat to a team member regarding a pressing issue or sharing a positive experience, the team and the session provide it all. There has been a positive impact with an increase of self-esteem, independence, and overall mental well-being. Targeting new families can be a challenge but again, giving them space and time to make their own choice as to when they are ready to come has had a positive impact on families. Families are feeling that their lives are more fulfilled now that they have found an outlet for their child to enjoy as well as time out from their carer routines and appointments. Children and young people had the opportunity to experience a wide range of activities. All activities were carefully selected and adapted to cater for all needs. Many activities were new for the children, which brought great joy and a sense of achievement as many of them tried something new and made a self-discovery. One of the children attending the drama session had never taken part in a drama before and has limited range of movement. The carer arrived with negative thoughts towards the session as she couldn’t see past the wheelchair and how her child would be able to participate. The session was full of silly fun and the child had a great time. With help of staff, the child was able to move around the space, enjoy hearing all of the sound effects on the pirate adventure as well as seeing all of the colours the adventure had to offer. The carer was able to see a different style of drama and how it can be adapted to her child’s needs. The child was full of laughter and the session managed to distract him from his iPad. Attendance at the sessions instantly improved. Carers were utilising the sessions as an opportunity to socialise with other carers and to meet friends. With carers becoming more inclined to attend, the children become accustomed to being in social situations, to be in a routine and to also have an opportunity to socialise and have time away from their carer and home routine. Prior to attending the groups, support was given to a mum and her child with hydrocephalus. Mum dipped in and out of engagement and the child had attachment difficulties and found social situations overwhelming. Mum gradually started to attend sessions and through introductions to other carers, started to make friends. The mum opened up to the other cares about the difficulties she is experiencing and shared coming to terms with her son’s diagnosis. Mum started to attend more regularly with her son, and through support from her peers, provided through the sessions, the team noticed a positive change in mum. Mum became more willing to participate in social situations and as a result, this had a positive change on her child. The mum appeared more relaxed, approachable and encouraged the child to explore the sessions with her. Over time, mum started to take a step back allowing the child space to independently make choices. Now, mum and child attend every session and through friendships made, she has a greater support system. The sessions have had a huge impact on mum and child and they have both made great life changing progress. As a result of friendships made at the sessions, carers have continued the friendships outwith the SBH Scotland project and connect with each other regularly via social media and nights out. We had a parent who stays in contact with us but only through 1:1 visits at home and social media. The team encouraged mum to attend the groups but as the months passed, mum wasn’t ready to. The team suggested to mum that she would be welcome to attend the group with a friend so that she has someone she knows. As time passed, mum arrived one day at group with her friend. The team introduced them to other carers and would try to engage them in group conversations and find common interests among them. The mum and her friend kept themselves to themselves and didn’t interact with other carers, which was fine as the team didn’t want to force anything and mum was starting to attend each group. This was huge progression and we knew this was a big step for mum. As the months have passed, mum has started to interact a little more with other individuals and these interactions have turned into friendships. Mum arranges nights out with other carers, comments on social media posts, offers support as well as receiving it. The carers have become each other’s biggest cheerleader and they have created a life for themselves outwith being a carer and have found enjoyment in their new social life. Through the sessions, the team are able to chat to parents and create a safe space for carers to raise any concerns they may have or if they have anything they wish to discuss. The team can offer advice, forward on any literature or useful information, as well as ensure we keep in touch regularly to check in on the family. At a session while the children were taking part in activities, it was highlighted to a member of the team that a parent was having some issues with the child’s school and was feeling like her voice wasn’t being heard and there was a breakdown in communication. A member of the team was then able to offer emotional support to the parent and then follow this up outwith the sessions. The team member became an advocate for the parent and with their permission, got in touch with the school and other agencies involved to arrange a multi-agency meeting. The aim of the meeting is to bring everyone together and to discuss whether the child’s needs are being met. The parent invited the SBH Scotland staff member along to the meeting and that member has become part of the regular agency meetings and has become part of the child’s support plan. The child’s needs are now being met and the parent feels better equipped and confident enough to approach the school in future. The parent is now happier sending her child to school knowing she now has trust in the system to care for her child in a positive and caring environment. Through the sessions, the team were able to arrange a trip out to a sea life centre. The outing provided an opportunity for the CYP and their carers to have access to mainstream activities and gave ideas to the possibilities of what’s available to the families. Other carers at the groups also provide a wealth of knowledge on places and activities they attend with their child and would recommend. We have a new family joining our sessions. Dad attended group with his 8 year old daughter and expressed he was pleased to have found our project. Dad explained that he is having difficulty finding other clubs for his daughter as challenges regularly present. At the family’s first group, the team introduced dad to other parents. Through conversations with other carers, dad left the group saying and I quote, ‘I have lots of homework to do tonight as the other parents gave me lots of information on clubs and trips’. Having access to our sessions to meet other carers, the dad left feeling not only better supported for himself, but with more knowledge that he can use to best support his daughter to engage and include her into society. Following up this case, dad has found several inclusive clubs for his daughter and will be returning to the sessions. 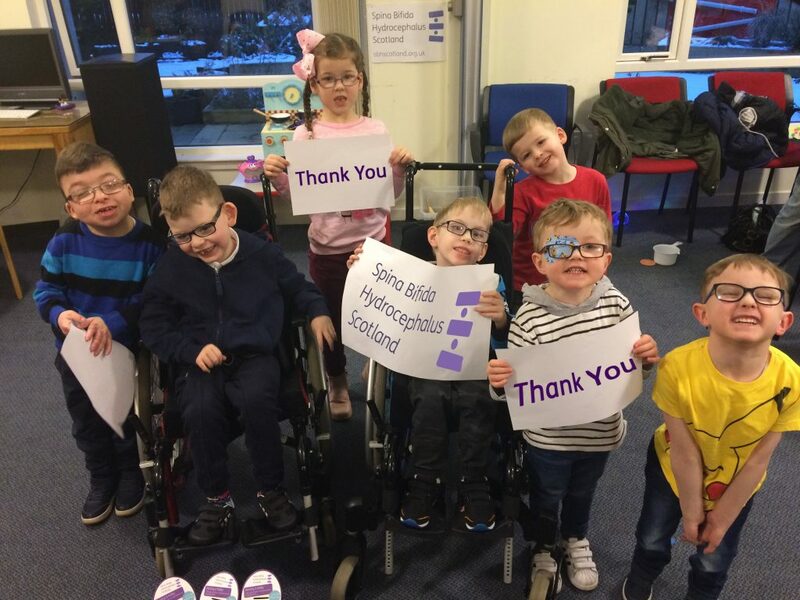 We have been able to signpost families to other short break providers, accessible sports groups, and our own respite cottage, Rebecca Cottage, in Carnoustie. Our support worker carried out 1:1 home visits to help a young child build confidence as he had significant separation anxiety meaning his mother, his main carer had very little respite or time to catch breath. Having worked with the family to build the child’s confidence they came along to the wellness market and our support staff were able to entertain the young boy who previously refused to leave his mother’s side. The mother was able to spend time uninterrupted at each stall and signed up for respite services, massage, reiki and a free supply of healthy fruits/vegetables for the family. Subsequently they attended our beach trip and the mother was able to spend time talking to other parents without her son giving her space and time to establish peer support. Since these events the mother has posted several questions to the closed social media group reaching out to other parents for the first time. Our support worker meantime has helped her to access funding for travel and successfully supported her increase financial benefits to meet their needs.